Why does everyone hate Gali Mistika? Um, Gali Matas and Gali Nuvas masks look rather similar. Gali Matas and Gali Nuvas masks look rather similar. They both feature similar triangular mouth shapes, as well as vents on the top of their masks. They both have an overstated brow over their eyes, and the two little off-shoots off the sides of their mouth. I can't really convince you that they look similar, but this is what I see. Alright, this is getting to be a bit much. 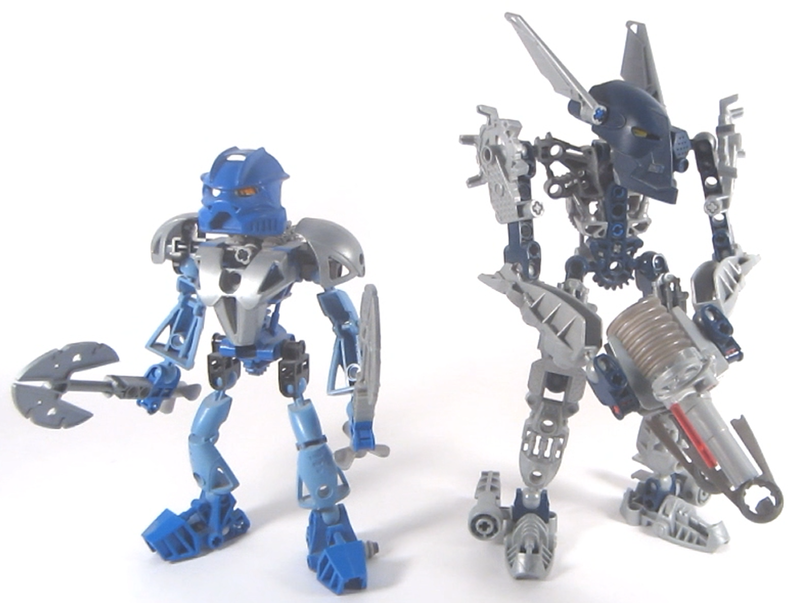 The reason no one likes the Mistika is because they're average sets and absolutely horrendous adaptions of the original characters of BIONICLE. For starters, that example you posted between the Kaukau and the Kaukau Nuva is poor. Those masks do share similarities, you can see the progression in design. It's actually really well done. Secondly, that comparison between Jaller and Jaller Inika is... disingenuous at best. They're two completely different masks that are not attempting to be a-like. Let's look at the Mistika. 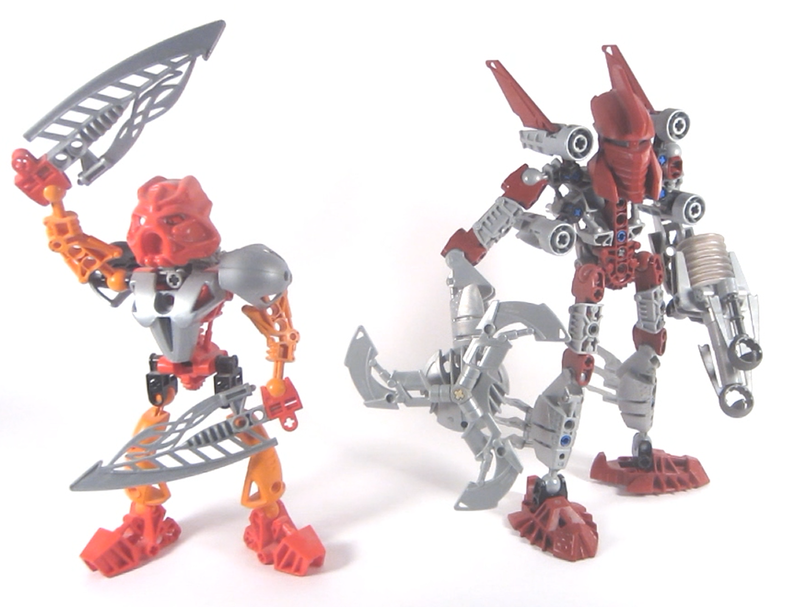 Tahu Nuva goes from being bright red and orange with silver highlights, two swords, and a Hau Nuva that looks like an excellent adaption of the Hau, to being primarily silver, secondarily dark red, tall, spiky, with one rotating shield-like weapon and a launch, with a Hau Nuva that bears no resemblance to the prior iteration. These two characters look nothing alike. They have nothing in common aside from the hue they use, and even then it is a different shade. When it comes to character adaption, Tahu Mistika fails. Onua Mistika is the best of these three, easily. But that's not hard to do. 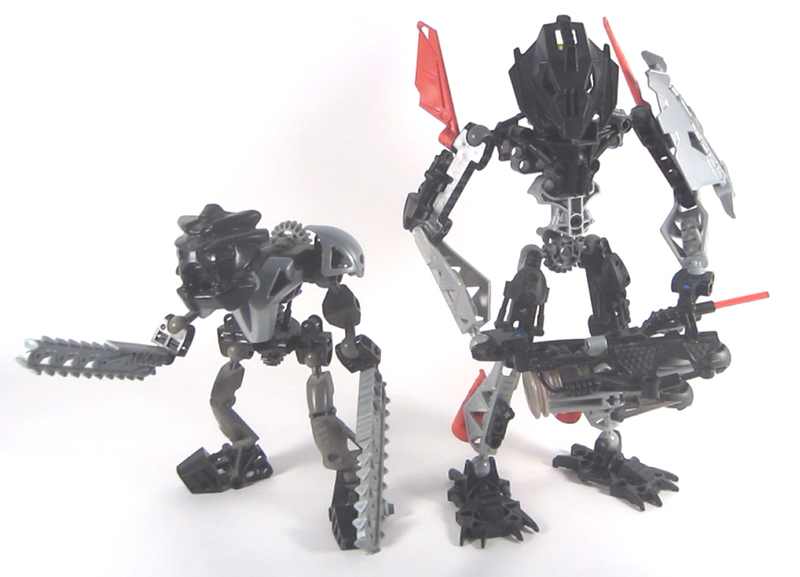 He goes from Onua Nuva, who is black and grey with silver highlights, hunched over, with two chainsaws, and a Pakari Nuva that is an okay adaption of the Pakari, to Onua Mistika, who is thin and tall, black with a secondary of silver and red highlights, with one modified blaster, and a Pakari Nuva which bears little to no resemblance to the Pakari Nuva of 2002. Side-by-side, these characters look nothing alike and we only associate them because we're told to. As an adaption, Onua Mistika fails. And finally, the topic of today. Gali Mistika. She is generally regarded as the worst Mistika on account of her absolutely horrendous adaption. It's appalling. She goes from blue and bright blue with silver highlights, with two axes, and a Kaukau Nuva which does a really, really good job of adapting the Kaukau, to Gali Mistika, who is hunched over, bulky, with a primary of silver and a secondary of dark blue, with a single blaster held by both hands, and a Kaukau Nuva which bears absolutely no resemblance to anything like a Kaukau. It has none of the design traits. It looks more like a great Matatu or an Akaku than it does a Kaukau Nuva. Gali Mistika is hated because she is nothing - and I mean nothing - like any of her original designs. It is a complete and total betrayal of the character BIONICLE fans have had from the get-go. As far as an adaption is concerned, Gali Mistika is a spit in the face of fans of the original character design. The only reason you compare any of these characters is because you are asked to. LEGO says these are the characters, so you have to associate them. However, unlike the excellent transition from Mata to Nuva, these characters were never intended to do a good job adapting the Toa Nuva. You see, if you look at old videos showing early concept models of the Mistika, you'll find something most interesting... Tahu Mistika in blue. None of these characters started out as the ones we associate with. In fact, look back through my post. Notice anything? Gali Mistika is short and bulky. Onua Mistika is thin and lanky. You made Tahu Mistika blue, hence making that set Gali Mistika. (Tall). You made Onua Mistika red, hence making that set Tahu Mistika. (Thin and lanky). You made Gali Mistika black, hence making that set Onua Mistika. (Short and bulky). The design of BIONICLE sets is a fascinating subject, and even extends to all LEGO sets. The Mistika and Phantoka have been controversial since they released (trust me, I was there for it), and if it continues to this day it's not because of a bunch of old farts pushing it. It's because they're bad adaptions. Not bad sets, but bad adaptions. That doesn't mean you shouldn't stop liking them. Like what you like. If you like the Mistika, then more power to you. However, it is absolutely incorrect to suggest they're anything like their prior designs, because they are not. Oh trust me, I know, one of the main reasons I made an account was because I loved these guys! What do you think of the Mistika? I'll answer that later. Has your question been answered?